Delay the signs of ageing! With our newest facial, you can harness the benefits of microneedling PLUS the benefits of our customised facial in one relaxing treatment. Our new Microneedling-Lite Treatment has been created to specifically address the concerns of first fine lines for both men and women. It is a lighter, cosmetic type of microneedling that has less downtime than traditional needling and is more comfortable to receive. 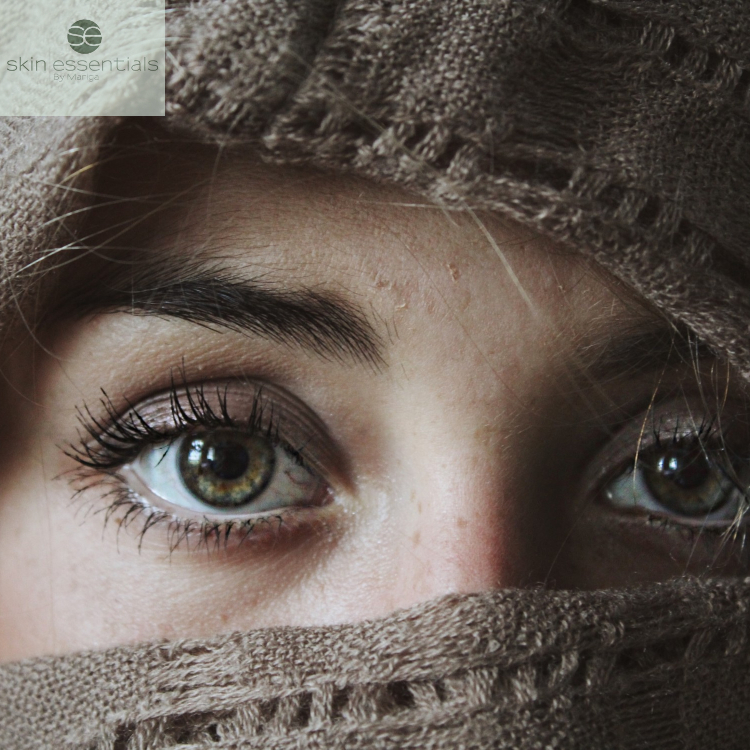 Because we use it to stimulate skin performance, not to penetrate products, we can combine it with some lovely elements of our customised facial for you so that you get the power of microneedling and also the skin-nourishing benefits of a facial in one 60 minute treatment, ideal for the busy lifestyles we lead today. This is an amazing one to choose when you want to power up the age-prevention of your regular facial but don’t yet need the deep-revision of more intensive microneedling treatments. 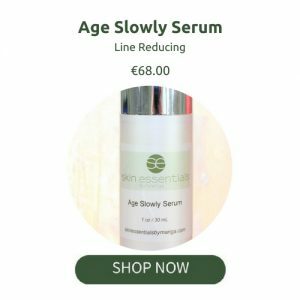 …Best for you if you are under 35 with the very earliest signs of ageing such as tiny fine lines starting to appear around your eyes or your skin is starting to look duller or tired. Combining lymph drainage techniques to relieve puffiness, cosmetic microneedling to stimulate collagen and reduce the first signs of fine lines and skin laxity, and a seaweed-based mask to supply essential minerals to the skin cells while reducing signs of fatigue such as tiredness under the eyes. Each treatment takes just 60 minutes and can be used as a stand-alone to stave off the visible signs of ageing or temporary issues that arise as a consequence of late nights, or a series of 3 will work a little deeper if you have been neglecting your skin. Book our *Microneedling-Lite Facial* online: Cost €150 for a single session, or save €50 on a course of 3 for just €400. Call us on 053 9145981 for more info. Have you seen our new Eye Area Focus Treatment? Fantastic for tired, hollow eyes and the first fine lines. 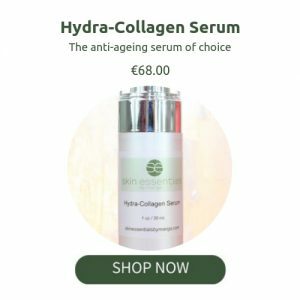 This entry was posted in Skincare, Treatments and tagged anti ageing, microneedling on 23/01/2019 by mariga. We are so excited to partner with an amazing brand for our new acne treatment programmes. 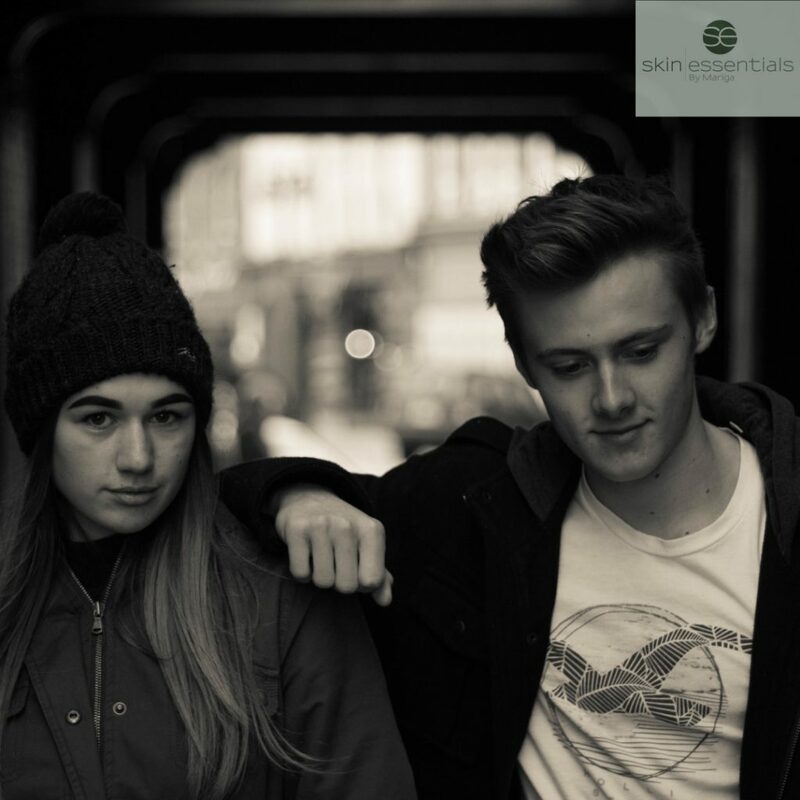 Skin Script are an independent brand who are making waves in the US aesthetics market with their incredible professional and homecare products for teen acne. We are delighted to exclusively introduce these protocols into Ireland and look forward to bringing you fantastic results on all grades of teenage acne. From occasional pimples to full-blown deep-set acne, we can tailor an in-clinic and at-home programme for you. 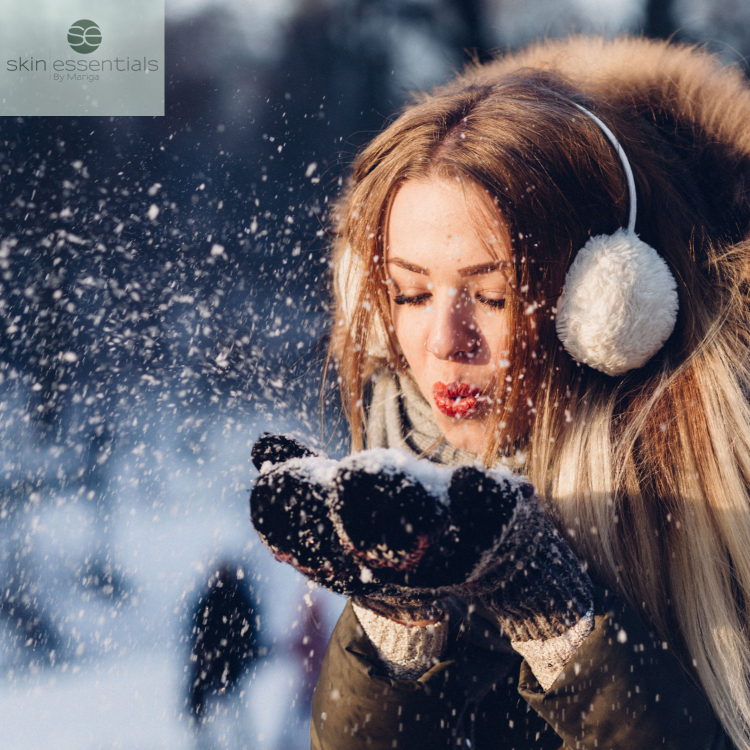 Having completed intensive ingredient and protocol certification with Skin Script’s director of education, we are confident that we have sourced the best acne solution on the market for our clients that is consistent and more affordable than many other options. This is all about targeted ingredients, used in a customised way for each client, both in the treatment room and at home. Teen acne needs to be addressed with a very consistent approach in order to disrupt the pattern of blockage-pimple-infection that is occurring in the pores. The application of at-home products as directed is crucial to the success of the programme so we need a commitment of consistency from you before we start! Each regime will consist of a minimum of 6 customised acne treatments and a homecare routine to be followed. You must attend for a consultation first so that we can create a programme for you, and you will take home your products on the first day to begin prepping at home for your clinical treatments. Once we begin your treatments (anywhere from 1-4 weeks after starting on homecare depending on your skin’s initial presentation), you must attend weekly for 6 weeks while also continuing homecare. The treatments are short, 20 minutes on average, but very important. Missing a week will mean you will not get the full result. The treatments will consist of a customised blend of enzymes/acids/masks as well as any necessary extractions. We will customise a package exactly for you at your initial consultation. Our packages usually consist of 6 x custom-blended peels and a set of products that we would recommend. (Sample treatment package pricing: course of 6 €290 / €60 per individual treatment). Call us on 053 9145981 for more info, or you can book your teen acne consultation online. This entry was posted in Acne, Skincare and tagged acne, teen acne on 09/01/2019 by mariga. Say hello to our exclusive Modular Facelift! What is the modular facelift? This is a 6 part highly customised version of our Pyramid Facelift technology. It includes a total of 6 full treatments of Voluderm or Trifractional Resurfacing, the number of each chosen according to your exact needs. Usually taken in six treatments over 6-10 weeks (the time frame will be set for your particular skin requirements at your consultation). Spacing the treatments out over 6 sessions instead of the three usually recommended for the Pyramid Facelift, gives us the ability to micro-customise your results as each treatment will be determined on the results of the previous session. What is the difference between the Modular Facelift and the Pyramid Facelift? The Modular Facelift uses a different application of the same technologies that we have been using in the Pyramid, but instead of using all three modalities in each session, we separate them out so that each one can be used at a higher or deeper intensity as a stand alone. This gives us more customisability which is especially useful in the case of specific issues rather than general anti-ageing. For example, choose the Pyramid Facelift for general age revision and all over skin rejuvenation and tightening where you want an all over lifted effect but do not have any one area of the face that is more aged than another. Choose the Modular Facelift where there are particular parts of the face that may need extra or deeper work, such as very pronounced eye bags or loss of volume around the mouth. You will still get the general anti-ageing results as with the Pyramid Facelift but with added enhancement of extra attention to any particular problem area. (There is approximately 50% more treatment in the Modular Facelift package than the Pyramid Facelift trio). The Modular Facelift is also a fantastic option for those with sensitive or reactive skin who cannot take the intensity of a Pyramid Facelift. Stay tuned for more details to come on our Modular Facelift. 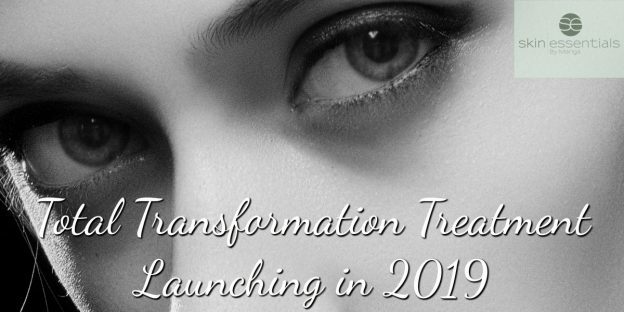 We’ll be launching our Total Transformation package pricing and sharing the latest news and technology of our Modular Facelift with you in January, 2019. January Introductory Offer: €1300 (save a total of €500 over indvidual pricing or save an extra €200 on our regular pre-paid package price of €1500). This entry was posted in Divine Pro, Skincare, Treatments and tagged anti-wrinkle treatment, Modular Facelift on 18/12/2018 by mariga. Most of the impaired water/oil balance that I see in clients in winter is due to increased heat and the exposure to the dry air that creates, causing water to evaporate too quickly from the skin. Flaky, itchy, reactive problems are often a sign of this as enzymes in the skin don’t have enough water to carry out their daily functions. It shows as sudden fine lines appearing on the face, often noticeable in straight lines around our eyes and cheeks. This is due to the temporary loss of water from the upper layers of the skin. Being sick, particularly with a raised temperature will also cause a temporary loss of water. 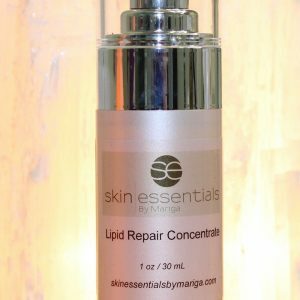 Simply drinking more good fluids will soon restore this balance in a healthy, functioning skin if you act quickly enough. If the problem is allowed to continue for a period of time then some simple changes to your daily skincare routine will help get you back on track. Drink more water. This is the number one thing you can do for skin health. Protect your skin from the outside with nourishing facial oils; look for ingredients like rosehip seed oil, shea butter, ceramides, squalane, jojoba seed oil, avocado seed oil, pomegranate seed oil. 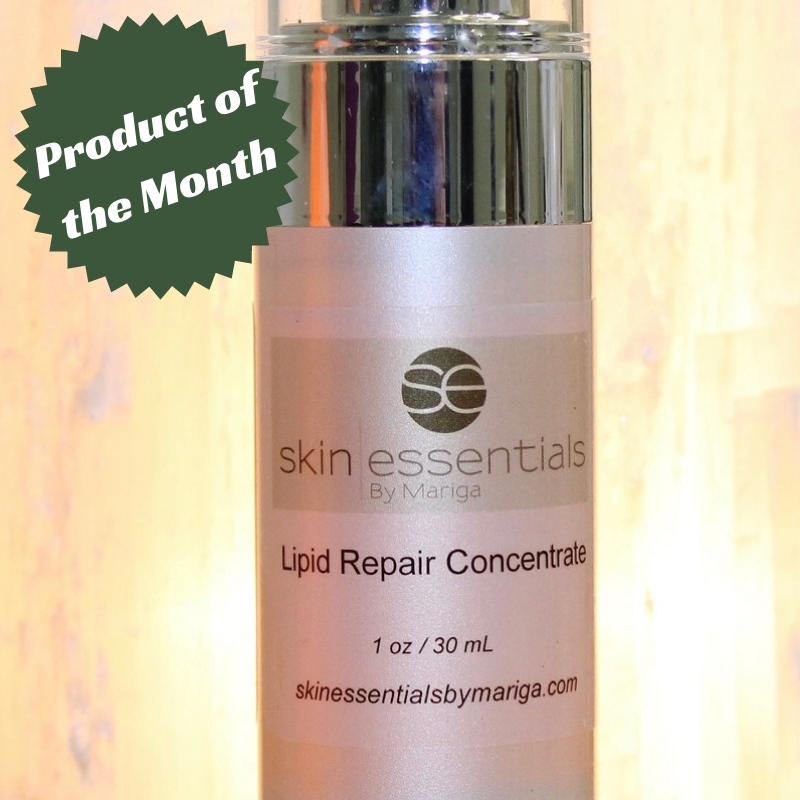 Our Lipid Repair Concentrate is the perfect choice for repairing your water/oil balance. Avoid alcohol, stress and direct heat and processed foods as much as possible. Always be gentle with your skin, especially if it is a little fragile. Avoid over-exfoliation and any skincare products containing fragrance or sulphates. Fun fact: too much water can lead to dehydration!! While the skin is great at absorbing water, it’s not great at holding on to it. As the skin softens on prolonged contact with water, like during a long bath, its barrier weakens leading to water loss and dehydration, so luxuriating in the bath too often really will leave you looking like a prune! For really deep, lasting hydration, check out our new hyaluronic acid and vitamin C infusion treatment. It’s a fast AND lasting rehydration boost to get you back on track quickly. This entry was posted in Advice, Skincare and tagged dehydrated skin, winter skin on 13/12/2018 by mariga. 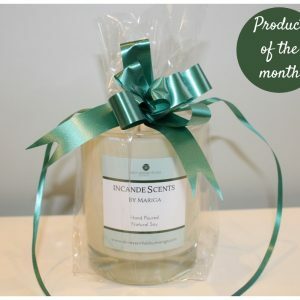 Caring for your skin over the festive period. The holiday festivities are underway and while it’s all great fun, usually we are left with the tell tale signs on our skin – not to mention our waistlines and wallets. While I can’t help to control your bank balance or calorie intake, I can offer some tips to surviving the party season with your skin intact(ish)! 1. Prevention is better than cure. If you anticipate a late night, drink plenty of water between drinks to help keep skin hydrated. (It will help with hangovers too). 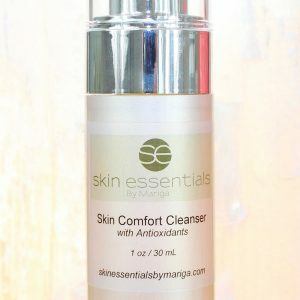 Leave your cleanser and a clean cloth out where you can quickly pick them up on your way to bed, reducing the likelihood of sleeping with your makeup on. 2. If you do sleep in your makeup, I recommend an enzyme exfoliation next morning followed by a deep oil treatment such as our Skin Comfort Oil. Apply 1-2 pumps over a freshly exfoliated face, then go back to bed for twenty minutes with a cup of tea while it does its work. It will awl amazing! 3. Give your skin extra nourishment daily as a protection against dehydration. 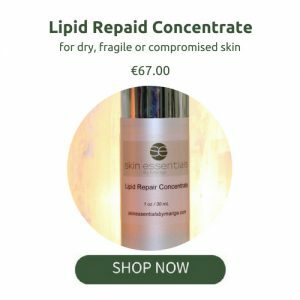 A couple of drops of Lipid Repair Concentrate, or other non-fragrant facial oil, under your moisturiser every day will ensure that your skin retains water and is supplied with essential fatty acids. 4. Try to relax. I know it’s hard when you have a million things to do, but stress will exacerbate breakouts in people prone to acne or can cause rosacea flare ups in others. 5. If you are prone to spots, go easy on the dairy products and salty foods. 6. If you are prone to facial redness avoid spicy foods, shellfish, fizzy drinks, alcohol and caffeine. (Ok, that’s hard, but at least be aware that they are potential triggers). 7. 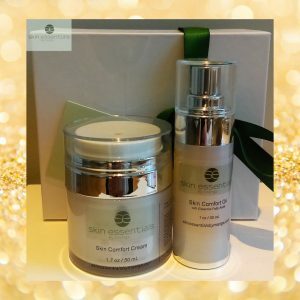 If your Christmas is more walks on the beach than drinks by the fire then remember you still need an SPF 30 every day and in cold or windy weather I recommend using a rich cream underneath for extra physical protection and repair. Try our Skin Comfort Cream – a pea-sized amount will be all you’ll need. 8. Remember that sugar is an ageing agent on the skin, so think twice before you have that extra piece (crate) of chocolate. 9. Eat lots of fruit and veg. We all tend to ignore the fruit bowl at Christmas when there’s much more ‘interesting’ fare on offer but be nice to your skin and feed it lots of anti-oxidants from the inside too. 10. A smile is a great facial treatment! A good laugh takes years off you and is the best form of relaxation. Enjoy the time off work, catch up with friends and try not to fight with your family! This entry was posted in Advice, Skincare on 11/12/2018 by mariga. 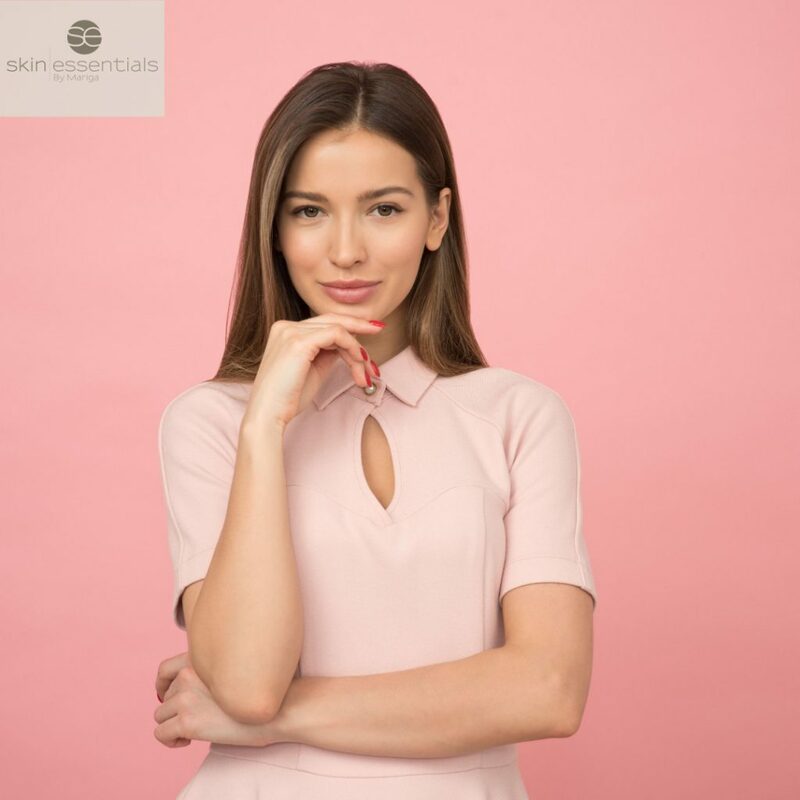 If you are looking for a fast, results-based facial to give you a super-glow before a big event or night out then we have just what you are looking for! 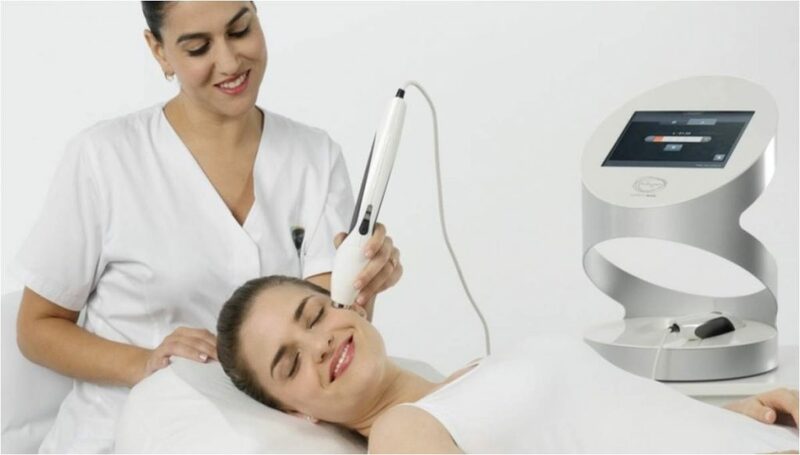 The TriPollar radiofrequency and BioPhotas light therapy which work together to brighten, tighten and sculpt your features for a fast result when you want to look the absolute best version of you – today! TriPollar technology gently but deeply heats the facial tissues, tightening existing collagen fibres and encouraging the growth of new ones for an immediate tightened effect and longer-term youthful collagen boost. BioPhotas’ LED is a low level light therapy that is best described as the application of specific wavelengths of light to tissue to obtain therapeutic benefits. This can be customised to each individual’s needs but some examples of the therapeutic benefits are: reducing inflammation, up-regulating mitochondrial function to re-energize cells, collagen production or anti-bacterial action for acne or rosacea sufferers. An hour long, this lovely treatment is warm, relaxing and has little to no downtime. You could have this on the same day as your event and wear makeup straight after if you wish. This facial is suitable for all skin types and will leave you with a tighter, hydrated and radiant complexion. Not suitable for those who are pregnant, those with epilepsy or anyone prone to migraines. This treatment costs €165 and can be booked online by clicking the button below, or call us on 053 9145981 for more info. This entry was posted in Divine Pro, LED therapy, Skincare, Treatments and tagged LED therapy, New facial, TriPollar Radiofrequency on 04/12/2018 by mariga. Red marks left after spots? 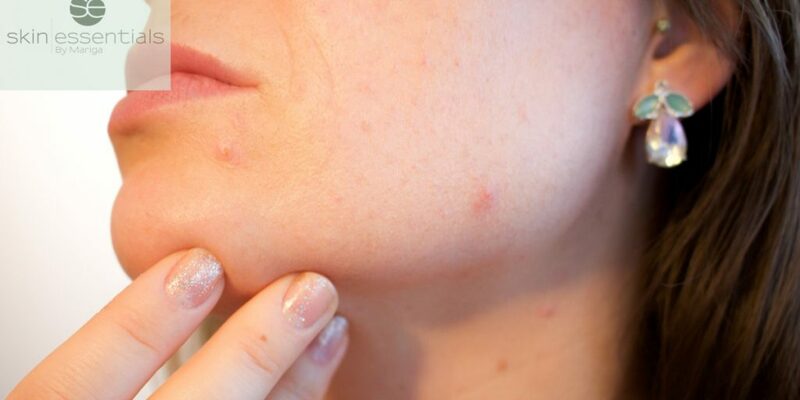 Whether it is an occasional spot or pimple, or a more serious case of acne, a common feature of many spots is that even when they are gone, they will leave a red mark behind that can least for weeks or even months. These marks can even be permanent in some cases – usually when the damage is so deep (as in cystic acne spots) that the full depth of the skin structure is damaged, or due to damage inflicted by picking or squeezing. Even when the damage is not that deep and you have resisted picking, the red marks can hand around for a while after the original spot is long gone. When you have a spot or pimple, the body sends healing resources to the area which are transported in the blood. This is why the area initially gets red and inflamed. Sometimes when the spot is healed there is some redness left behind as the tiny capillaries that carry the blood to the skin have become enlarged and more dense in that particular area, meaning we can see them through the top layer of skin. Many times this will fade over time as the capillaries return to a normal size. The weaker your skin is in general, the longer this can take. So, in this, as in many other things, prevention is better than cure. In a skin that has the benefit of a good diet, optimum hydration and appropriate supporting skincare, these red marks will vanish much more quickly than in a compromised skin. To help them fade faster, you can make sure that your skincare includes Vitamin C (Hydra Collagen Serum), Vitamin A (Age Slowly Serum), and essential fatty acids (Lipid Repair Concentrate). In our clinic, some superficial acid peels or LED light therapy may help to speed up the fading. Sometimes, the capillaries remain enlarged and the red area never fades. While this is no harm, most people don’t want this visible damage left on their skin. In these cases we can consider using diathermy in isolated areas to reduce/remove the red patches where they have visible capillaries involved, or Trifractional resurfacing treatments where the red mark is more scar-like and definite in shape. This entry was posted in Advice, Skincare and tagged acne, acne scarring, skin resurfacing on 29/11/2018 by mariga.